It's been a special winter here in Northwest. 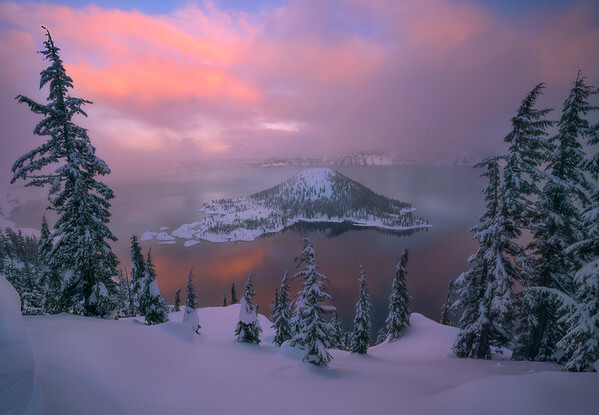 In this past December, Crater Lake received 196.7 inches of snow, which breaks the record of the same month in 1948. This leads me to believe that something rare worth to shoot. I decided to make a snowshoe backpacking trip to the west rim of the lake. I always want to capture a special moment of Crater lake Winter, which the whole lake is in fog and still maintains sunrise or sunset color. This may happen when storm is clearing, so I started hiking in in the middle of a storm. It was really foggy and snowing like crazy. 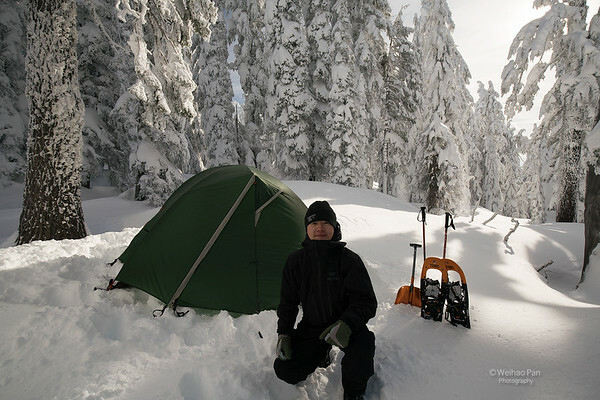 When I arrived at an ideal camping spot and started to set up the camp. The storm is clearing and luckily I knew where I should go and here is the shot. I really like the atmosphere of it. With a view like this, it was quite enjoyable camping around the lake. 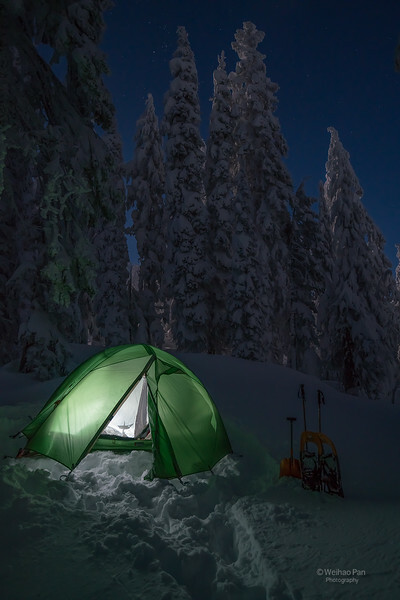 A wonderful campsite among frosted trees.